Students will explore a variety of hot and cold patinas that can quickly and drastically change the color of copper and copper alloys (such as brass and bronze). Students will create eleven samples on plain and patterned metal. All formulae will be provided and students will be encouraged to take some of the finished patina chemicals home to continue their experimentation. These patinas are created with readily available chemicals … some of them found in your kitchen! These patinas work great on everything from small jewelry to large sculptures. They can be used to quickly and easily antique copper and brass fittings for restoration projects. If you are looking to add drama to your copper or copper alloy project, no matter the scale, this is the class for you! Kathleen Gatliffe is a jeweler and artist working in Superior, Colorado. Her interest in combining art with cutting edge technology led her away from the usual art school path and towards the engineering programs at the University of Colorado Denver, where she graduated with degrees in both mechanical and electrical engineering. Originally a painter, she turned to metal and glass as an ideal way to marry her love of science with her passion for art. 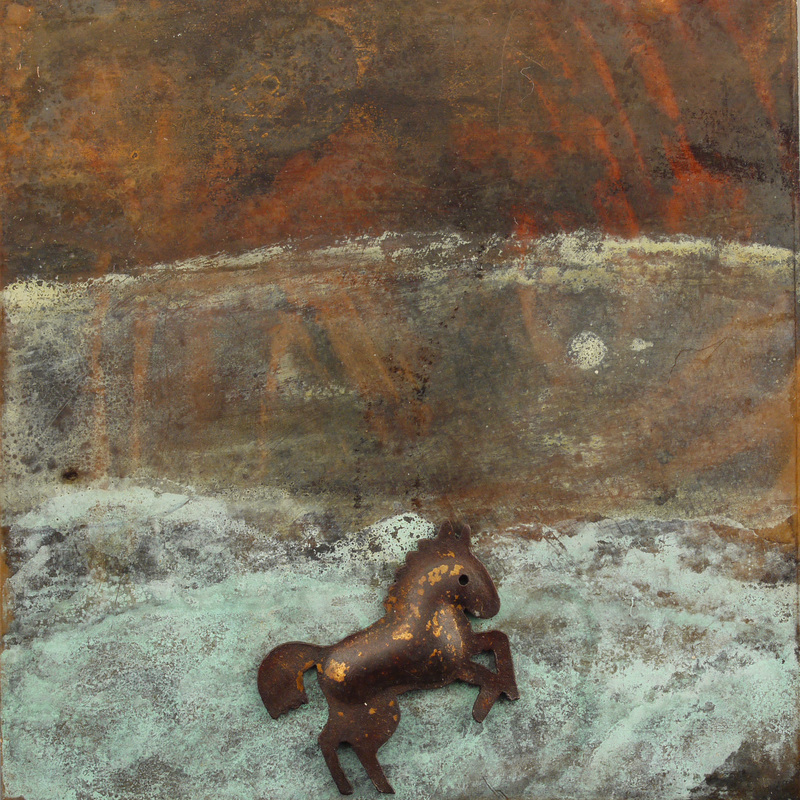 She sits on the board of the Colorado Metalsmithing Association. Instructor will provide kit including nine squares of 2” x 2” copper and two squares of 2” x 2” patterned brass as well as chemicals, brushes, sandpaper, soap, wax and lacquer.